Problem is basically absence of some regular, normal or suitable outcome of something. And, when referring to Hair, it delves into many types of Hair related problems that are very much prevalent in men, women, and youngsters of all geographical, cultural, economic and social backgrounds. This problem is present all around the globe. 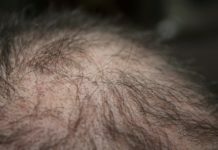 While in the Western countries hair problem starts quite early, due to lack of summer seasons, and adequate sunlight, in eastern countries, hair problems are a cause of dietary, passive, and stress related causes. Another very important problem related to hair is looking good. Hair happen to be a very integral part of the overall personality, and for this everyone is keen to keep the hair as the style that is as per the prevailing fashion trends, irrespective whether it suits someone or not. The result being, the frequent hairstyling makes the hair weak from roots. 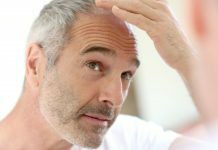 It is also seen, hair problem that leads to hair fall also affects a person psychologically, and concerned about getting bald. This creates stress, and a person is caught in the vicious circle. This circle starts from looking good like a celebrity, and hairstyling as per one’s celebrity or as per one’s idol, that leads to application of gels, shampoos, hair grooming, color, mailing the hair week. While all these activities are carried out as a resultant effect of a role that a celebrity plays, (who otherwise does not do that hair styling in real life), but the impression the celebrity’s role/performance creates in the mind of fans, makes them follow the same. If not found suitable, they are dejected from both the aspects. Neither they are able to look like their celebrity nor they remain original. Hence, they are reduced to a vicious circle. This is also a cause of CD, obsessive control disorder syndrome, that is so common among youngsters these days. The remaining damage is being done by the selfie culture, and looking in the mirror every now and then. While this obsessive behavior of keeping hair style as per different occasion is a fashion, but this trend badly affect the hair. Hence hair problem has graduated from being physical to psychological, and media has quite a dominant role to play. Moreover, the mobile phone industry, and social networking sites are flooded with the pictures every now and then, the problem has taken quite alarming proportions. To cure this problem, it is advisable that hair is to be taken as a very important part of overall human body temple, and not to be disturbed so frequently by combing, brushing, applying water, especially by young boys and girls, who are looking forward to pressing them, applying dryers, and colors, that have harmful chemical, affecting the natural bounce of their hair. In fact, they must understand, that Hair too have a life, and they too need to take rest.